Do you remember that post where we came across an FCC ID label indicating some countries for the N9 which were not yet on the availability list? South Africa had a N9 label but was not yet part of the confirmed list. 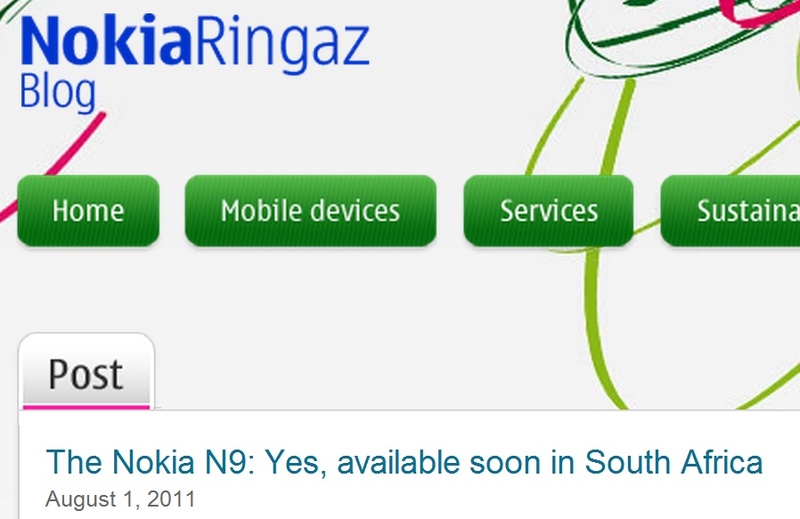 The Official Nokia Blog in South Africa confirms that the Nokia N9 is coming to you guys in S.A.
Interestingly enough, a retailer in Khazakstan put a preorder for the N9, and that FCC ID label also indicated availability there too. Does that mean we should expect N9 too for France? Turkey? Belarus? Ukraine? Khazakstan? Thailand? Asia Pacific (e.g. India) – Bangladesh, Sri-Lanka, Maledives and Nepal as well as Taiwan, Costa Rica and Argentina?